Running Outside the Comfort Zone: An Explorer’s Guide to the Edges of Running, by Susan Lacke. VeloPress, 2019. Reviewed by Laura Clark. Laura is an avid mountain, trail and snowshoe runner who lives in Saratoga Springs, NY, where she is a children’s librarian. 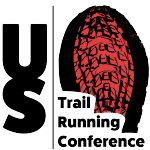 VeloPress is an American Trail Running Association corporate member. Susan Lacke had never felt at ease in her surroundings. As a lip-reading deaf person with an odd accent she had never integrated into either regular society or the community of deaf sign language speakers. It was only during her first 5K that she finally felt that she belonged. No one really cared that she couldn’t hear, only that her legs could propel her from start to finish. Shortly after, she became a freelance writer, again in a world where hearing was secondary to written communication. But then something began to happen. 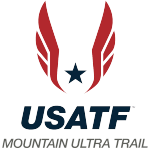 Stressed out over trying to qualify for Boston, running seemed more like a job than a release. Trying to regain a semblance of her own self, Susan did what many writers before her had done (Bill McKibben in Long Distance: A Year of Living Strenuously, and Kirk Johnson in To the Edge: A Man Death Valley and the Mystery of Endurance), using her profession to restart her joy. McKibben and Johnson were mourning the death of a loved one; Susan, the death of a lifestyle. But unlike McKibben and Johnson, Susan did not try to reinvent herself: rather, she revamped her outlook by approaching her chosen sport in an adventurous manner. She ditched Boston and focused only on those events that were outside her comfort zone. Some undertakings, like the Grand Blue Citizen’s Mile, part of the Drake Relays, seem positively doable. But not to Susan who, like many of us, are still haunted by overbearing phys ed teachers. And I totally get it. A bullying gym teacher was the prime reason I refused to go out for basketball in high school, despite wanting to be on the team with my friends. Other events, like the Caliente Bare Dare 5K in Florida are outside of nearly everyone’s comfort zone. And many are just bizarre and a testimony to the author’s internet surfing skills. Who heard of the Red Bull 400 in Park City, Utah, an uphill run on the ski jump built for the 2002 Olympics where rope netting was erected to keep athletes from slipping backwards and oxygen masks were stationed every 400 meters? Or the Frozen Dead Guy Days Coffin race where costumed teams tote coffins in honor of Grandpa Bredo, originally cryogenically frozen but now relying on dry ice from charitable neighbors? Another winner is England’s Cooper’s Hill Cheese Roll which initially seems weird but benign: you chase an eight pound wheel of cheese down a hill. The catch? The hill is pock-marked with ruts and divots which are impossible to avoid if you are truly competitive and frantically hurdling downward in search of supper. More telling, no one is officially in charge so there are no signups and no liability. There is no website. Folks just show up at noon on the third Monday of May. Miraculously, due in no small part to Susan’s enthusiastic husband Neil, Susan did show up at all these events and survived to write about them. But that is only part of the story. Her real challenge came when she revisited her old neighborhood in Phoenix, Arizona, where Carlos, her first coach and mentor had trained her and recently succumbed to cancer. She dared herself to run the trails at their old stomping grounds and commune with her best friend. Once more, I get it. Since my husband’s death I have avoided the Finger Lakes National Forest, the site of the Finger Lakes 50s where my husband and I had camped and run every summer. As Susan comments, she had dodged South Mountain “…because I knew that when I came, I’d have to acknowledge the present. Things were different now. But it was going to be okay.” Perhaps it is time for me to go back too…. Each chapter is a self-contained adventure, written in a witty, often hilariously understated style that reveals, in a no-holds barred fashion, the author’s self-examination of her weaknesses, foibles and strengths and hints at future goals. 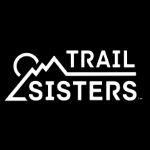 Most of all, in the words of her husband Nick, she recognizes that “There’s more than one way to be a runner.” Are you ready to reset your running and expand your adventures and meet the place, “Where the Sidewalk Ends,” and the unexpected begins?